This is an area where very small details can make a very big difference. Every piece of hardware we use when we install Simonton windows is designed for long-lasting performance. 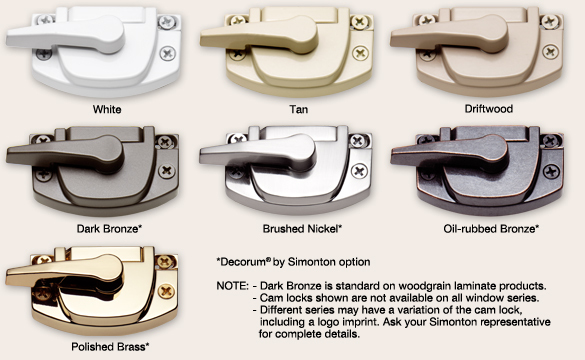 And now you can express the style of your home with Decorum® by Simonton hardware. Choose window and door hardware in distinct metal finishes that can coordinate with your drawer pulls, faucets and lighting. 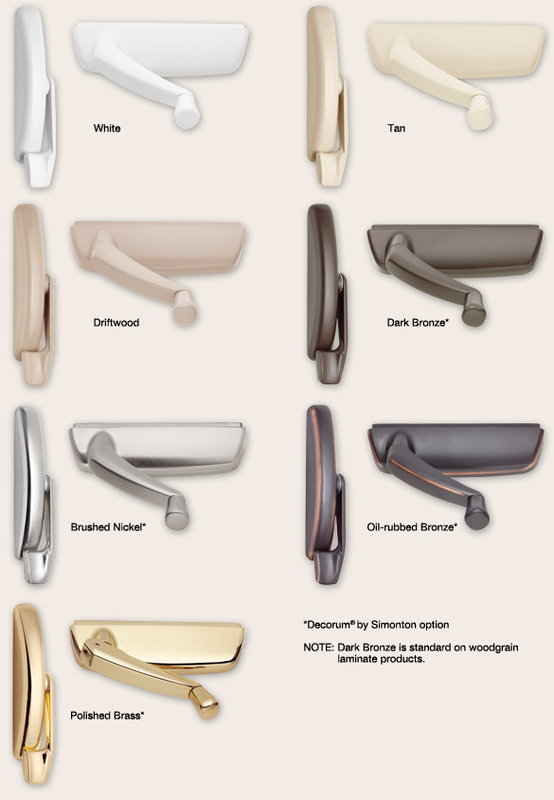 Whether you choose the richness of an oil-rubbed bronze, the sleek look of brushed nickel or the understated simplicity of color-matched hardware, you’re assured of legendary Simonton quality day in and day out. Color-matched cam locks are standard on all windows. For an upscale look, optional Decorum hardware can be selected. Casement windows feature smoothly operating crank handles, allowing the sash to be open to a full 90 degrees. * Crank handles are color-coordinated for an attractive, uniform appearance. Optional folding crank handles and Casement Nesting handles are available for a streamlined appearance. *Sash on Casements that are 17" or less in width only open to 45 degrees.